Home › Blog › Nothing But Net! 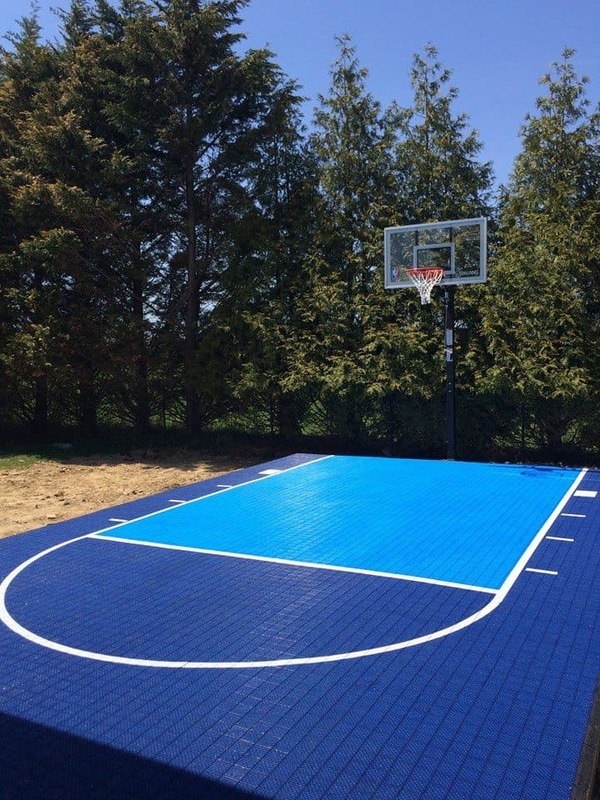 We just installed this Spalding NBA In-Ground Basketball system featuring a professional-grade glass backboard and Mateflex HomeCourt® modular flooring. 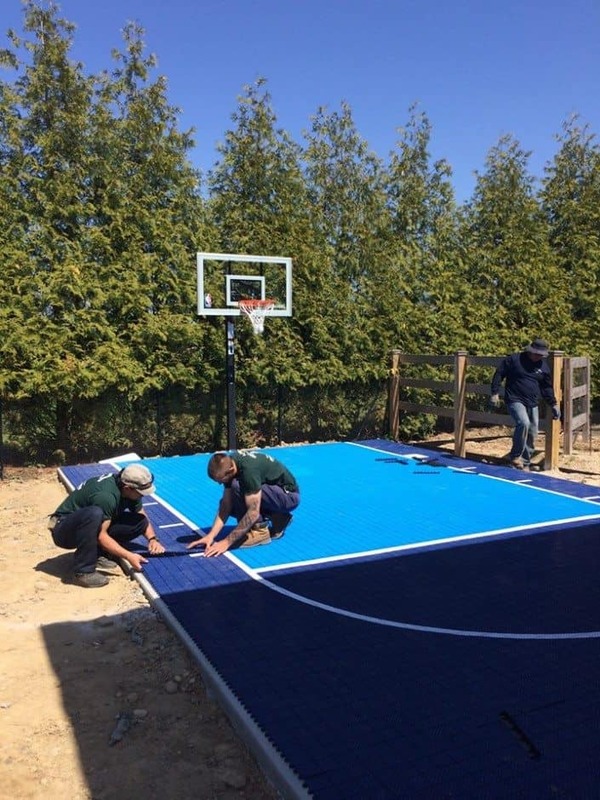 Requiring a skilled crew to properly complete the task, the advantage of a professionally installed in-ground system is that it is permanently cemented directly into the ground, which makes them much more rigid than portables, and able to stand up to punishing dunks with ease.